The Childbirth and Women's Wellness Center | Because it's your birth experience. We have unmatched success attending amazing births with incredible families. Our center serving Northern and Central New Jersey is lead by Dr. Lonnie Morris and her staff of certified nurse-midwives. Our center staffs Certified Nurse-Midwives/Nurse Practitioners trained in Gynecological Care. We are licensed to prescribe medication, and have 40 years experience of history providing beautiful births in Northern and Central New Jersey. We don’t just provide joyous birth experiences for our patients and their families but we can also provide our patients a lifetime of Gynelogical Care including Pap Smears, treatment for vaginal infections and PMS, natural menopause remedies, hormone replacement therapy, birth control and family planning and infertility treatment. We will take the time to answer all your questions about your healthcare and treatment strategies and most importantly, we will listen to you. Most insurance plans are accepted. Contact us and find out why Midwifery Care is the answer you have been looking for. We are proud to be one of New Jersey’s oldest midwifery practices lead by one of the most experienced midwives in the nation. We welcome couples to visit us and tour our practice to get to know us before making a commitment. Any woman can take advantage of our midwifery services during and after her childbearing years. Our office is conveniently located at Clifton, New Jersey. With the leadership of Lonnie Morris who has had a career spanning over 4 decades delivering babies in the tri-state area, the midwives of our center are inspired to maintain the highest standard of care in keeping with her legacy. In addition, we are fortunate to have the highly skilled and respected Dr. Charles Haddad as our collaborative physician. He and his physician associates fully respect and support a True Midwifery Model of Care and provide excellent medical care when necessary. We are conveniently located in Central New Jersey near the Turnpike Clifton. We deliver at both Hackensack UMC at Mountainside in Montclair, New Jersey and Hackensack UMC at Pascack Valley in Westwood, New Jersey. We love to help women birth their babies the way nature intended and we will stand by you and protect your right to have the experience of your dreams. Empathy, sensitivity and exceptional care through out your pregnancy and birth set us a part with our patients and keep them coming back, generation after generation. We are here to help you years before and years after your childbirth experience and look forward to seeing you every year for your checkup and minor gynecological issues. We are not just here for your birth but every phase of your life and in any circumstance. We help you stay as healthy, care for and in balance as we can to help assure that you stay happy and healthy for you and your family. As our patients, we will also be hear to offer all the guidance we can to help you stay well and in balance. However, when you faced with times that you may need some correction as you move throw the phases of life from preconception to menopause, we can help you find your way back to your best self. At times it can be challenging to conceive. When you are ready to start your family and may be facing some of your own, let us help you correct the situation. We make a point to chose the most natural and simple remedies first before more agressive, expensive and invasive alternatives. No matter what, we are with you every step of the way. Once you are a patient at the Childbirth Center you are a part of our sacred circle of empowered women and families. We welcome you to join our community by subscribing to our newsletter, share your birth stories and contribute your recommendations for other women and their families. 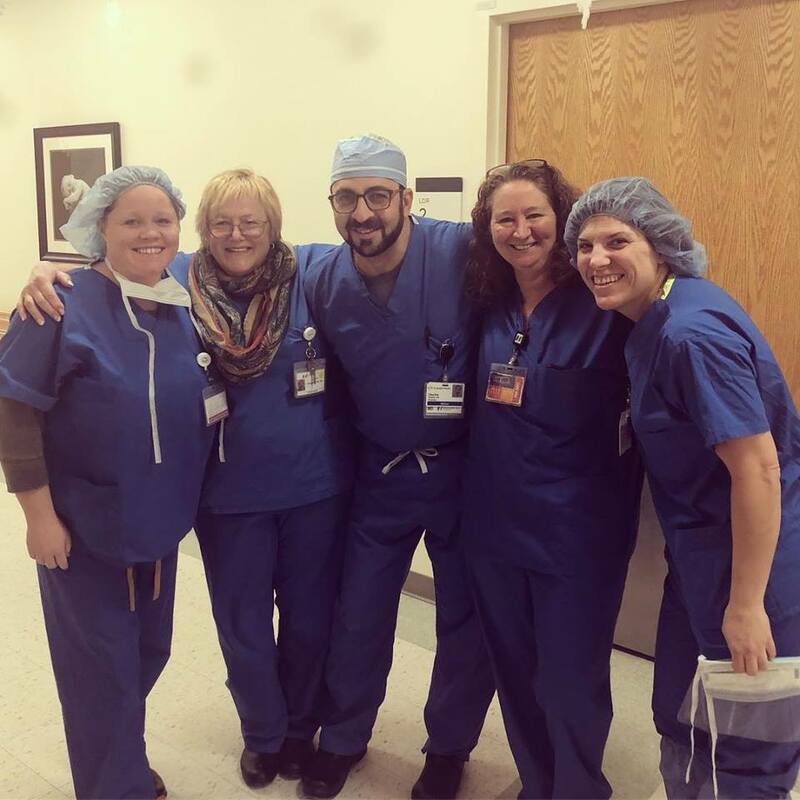 Our team of Certified Nurse Midwives, Nurse Practitioners, Physicians and Hospital Support is know for being the most reliable, flexible and experienced in the area. We work together throughout your pregnancy, during your birth and beyond to make sure you have comprehensive and attentive care to every detail to make sure you have an joyous and positive birth experience.